Sometimes it's hard to say the right thing. It's even harder when your phone has a mind of its own. 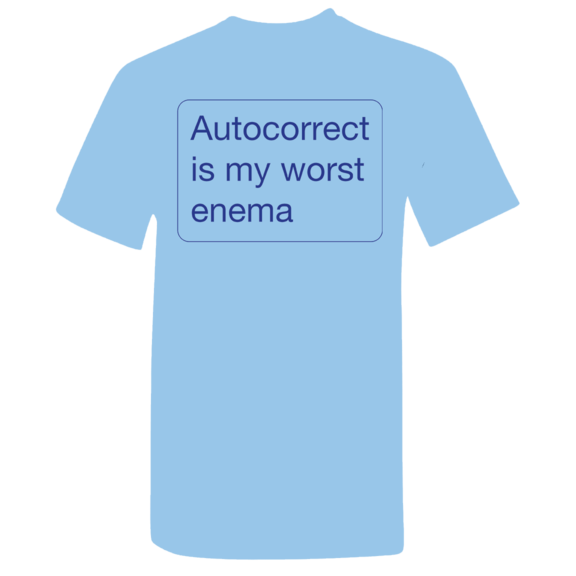 Autocorrect is my worst enemy. TShirt is ring spun cotton.